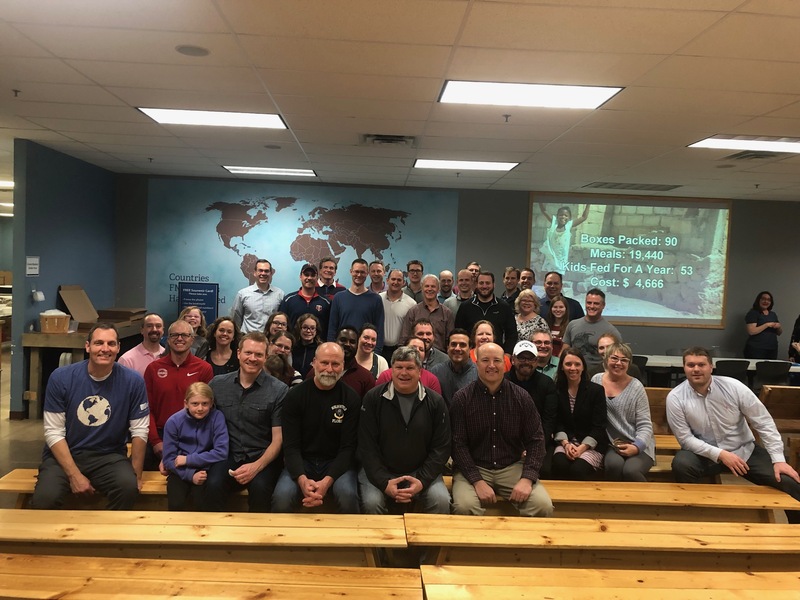 Annually, the APWA-MN Chapter sponsors a group volunteer opportunity at Feed My Starving Children (FMSC) -- a non-profit organization that packs and distributes meal packs to millions of starving or at-need children in nearly 70 countries around the world. FMSC relies heavily on volunteers and donations to purchase the ingredients for and assemble "Manna Packs" -- meal packs that include vitamins, soy protein, rice, and dehydrated vegetables. On March 28, the APWA-MN Chapter volunteered. Chapter members measured ingredients, weighed and sealed bags, and boxed the meal packs. During the hour and a half long volunteer session, we packed 90 boxes of Manna Packs. This makes 19,400 meals and feeds 53 kids for an entire year. An incredible amount of impact was made in a very short volunteer session.